Drake Copeland’s life changed when his mother disappeared and he was forced to go into foster care. When the entire school goes on a field trip, Drake is one of four students who remains behind because he has nobody to sign his permission slip. What starts off as another dull day at school however, suddenly turns into something much different. An experiment left in the science lab causes the entire school to be thrown forward in time, to a time period nearly one hundred years in the future where the world is drastically different. The post apocalyptic world is plagued by all kinds of supernatural creatures, and Drake, his science teacher, and his peers must do their best to survive until they can find a way home. The idea behind this story was very creative and interesting! Stories about time travel always fascinate me because of the whole complexity of it all. So when I read the plot summary of this book I definitely wanted to give it a read. I liked the main character, Drake–he has the qualities that a true leader should have and I thought it was interesting that he was able to take charge of the group after being such a quiet kid in school. I liked the humor in this story as well, and loved that the characters were still able to joke about their situation after all they had been through. Each of the kids changes in some way after going through the time lurch and being thrust into a new world, and it seemed like they became who they always were supposed to be. In this new crazy world, they were able to shed the appearances they kept up in high school and were finally able to figure out who they really are. The new world that they time travel to is full of all sorts of strange creatures, from werewolves and vampires to ghost-like creatures. Everything that has appeared in this future world is a result of the experiment that was left in the laboratory that day, left by Evan Dandridge, a student who was constantly teased for being a nerd but who was actually a genius. I would’ve loved to have had more information about Evan–we are only given a brief glimpse of him at the beginning of the book and I would’ve liked to know more about what led him to making this experiment that would eventually change the world. Another thing I would have liked to have had more information about is Drake’s mother’s disappearance. When his mother left it obviously had a big impact on him and changed his life dramatically, but other than a brief description of what happened the day she disappeared, we really don’t get much more information. His mother also seems to play a big role in the story as a whole, and I feel like more information about her and and about Drake’s life before she left would’ve made the connection between she and Drake seem stronger and more real. 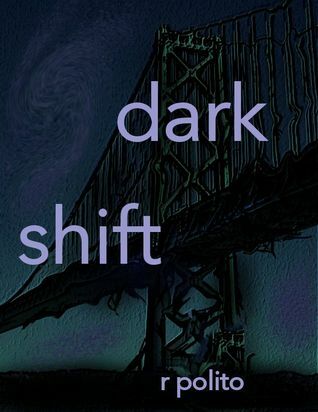 Overall, Dark Shift was an interesting read with an original story and a ton of action. The ending left me slightly confused (mainly from all the space-time continuum stuff) and full of a bunch of questions which I’m guessing will probably be touched upon in the next book. Dark Shift was released on May 30, 2013. In the third book in the Bloodlines series, Sydney finds herself torn between her duty to the Alchemists and her desire to make her own choices. She begins to discover the truth behind the Alchemists and comes across Marcus Finch, an ex-Alchemist who wants Sydney to join his group of rebels and run away from the Alchemists like he did. At the same time, Sydney finds herself learning magic from her teacher in order to protect herself and other girls with magical abilities from an evil magic user who wants to steal their power.While dealing with her distrust of the Alchemists and her hesitation to use magic, she is also conflicted about her feelings for Adrian, who makes no secret of his feelings for her. I think each of these books has been better than the last so far. The less uptight Sydney becomes, the more I like her. She really won me over in this book, mainly because she really started to learn how to use magic to protect herself and finally realized how much control the Alchemists have over her and that she doesn’t want that. She starts to finally take control of her life and make her own decisions, and she also starts coming to terms with her feelings for Adrian. In this book Sydney meets Marcus Finch, who right away wants to help Sydney break away from the Alchemists. I was happy that she was finally starting to realize that the Alchemists are not exactly the people she thought they were, but I was glad she didn’t immediately trust Marcus also. Sydney becomes torn between living the life she was raised to lead, or starting a new life for herself. What I really love about Sydney though is that she is a very selfless person–she really cares about protecting Jill and doesn’t make any decisions without considering her first. Jill and Eddie seemed to fall more to the background in this book, but I still think that Jill seems to be getting more mature with each book. She gives Sydney a lot of good advice and it seems like she’s finally starting to realize how much Sydney sacrifices to keep her safe. There were some really great Sydney and Adrian moments in this book, and I love how they each bring out different qualities in each other. Sydney really brings out the best in Adrian, and Adrian makes Sydney more confident and helps her to start putting her own needs first more often. Overall, The Indigo Spell was a great book with tons of sweet moments between Sydney and Adrian and an ending that I absolutely did not see coming. The next book should definitely be interesting!! 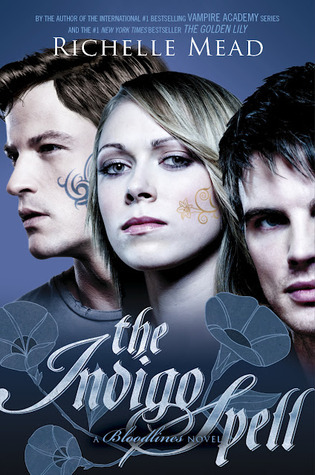 The Indigo Spell was released on February 12, 2013 and is the third book in the Bloodlines series. The fourth book, The Fiery Heart, will be released on November 19, 2013, and apparently will feature Adrian’s point of view also!! In this sequel to Bloodlines, Alchemist Sydney Sage begins to start questioning her beliefs about vampires and her own people. She begins to grow closer to Jill, Eddie, and Adrian–all people that she would normally fear and avoid. She falls into a relationship with a boy who is her intellectual match, but finds herself being drawn to someone else–someone she cannot allow herself to fall for. Sydney struggles between following the archaic beliefs of her people, or following her heart, and her loyalty is constantly being put to the test. I liked this book better than I liked Bloodlines, but I will admit that after going back and reading the entire Vampire Academy series, I reread Bloodlines and enjoyed it much more. While it’s not necessary to read Vampire Academy before Bloodlines, I would definitely recommend it because I was able to understand more about the relationships between some characters that had been developed in Vampire Academy. That being said, I still liked The Golden Lily better than the first book, mainly because Sydney became a much more likeable character. She finally began to ease up a bit, and even though she is still socially awkward she seemed to have more of a personality. Sydney starts dating a boy named Brayden in this book, and he is basically the male version of herself. He is very smart and she is able to have academic conversations with him, but there is no spark whatsoever. Plus, Sydney is always having to run out on him to deal with Moroi issues, so the relationship only gets more awkward. And while she’s trying to force herself to fall for Brayden, she finds herself drawn to Adrian, who, as a Moroi, is forbidden to her. Adrian was one of my favorite characters from Vampire Academy and I’m so glad that he is such a big focus of this story. We get to see so much more of him in this book and we get to discover the many facets of his personality, from his vulnerability when meeting with his father to his protectiveness of Sydney when she feels threatened. His relationship with Sydney grows so much in this book–she helps him with his family issues, “teaches” him to drive a stick shift, and takes a self defense course with him. Their back and forth banter is really cute also, and I love the way they have helped each other to grow. There was also a great side plot surrounding Jill and Eddie. Eddie was another character that I loved from Vampire Academy and I was happy to see that he wasn’t punished too harshly after the events that occurred with Rose. He is fiercely protective of Jill to the point where it becomes obvious how he feels about her, even if Jill herself is oblivious. Jill was a little bit annoying in Bloodlines–she kept whining about not being able to be a model and she didn’t realize how everyone was sacrificing so much to protect her. She was a little bit better in this book and it seems like she is maturing and is a little bit less naive. Overall, The Golden Lily was a great sequel to Bloodlines. The characters showed a lot of growth, Sydney herself was much more likeable, and we got to see a lot more of Adrian. I’m very excited to see what happens next! The Golden Lily was released on June 12, 2012 and is the second book in the Bloodlines series. The third book, The Indigo Spell, is available now and the fourth, The Fiery Heart, will be released on November 19, 2013. Sydney Sage is an Alchemist, a member of a group of people who act as the barrier between vampires and humans. Since she was a child she has been raised to fear the Strigoi, the evil vampires who want nothing more than to kill humans and drink their blood, and to not trust the Moroi, the other kind of vampires who coexist with humans. She has been bred to keep vampire secrets from the rest of humanity, and when the life of the Moroi Queen’s sister is threatened, Sydney is called upon to act as her protector and keep her in hiding. Sydney and the Moroi princess, Jill, pose as students in a private school along with Jill’s guardian Eddie. Sydney has to adjust to living surrounded by vampires, creatures she has been fearful of her entire life. I was a bit confused at first with the whole Strigoi/Moroi thing and I’m wondering if part of this is because I haven’t read any of the Vampire Academy books. 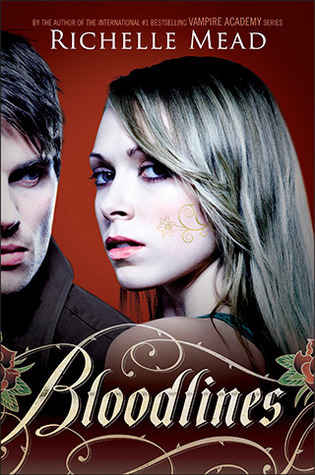 I didn’t realize that Bloodlines was the start of a spinoff series–I had thought it was an independent series, so I felt like I was missing out a bit because there were a lot of references to Rose Hathaway and events that took place before this book. Once I got a better grasp of the different vampires and dhampirs and Alchemists I definitely thought it was an interesting take on vampires. Sydney was kind of an annoying character. She is way too uptight and has a seriously unhealthy body image. She got a bit more confident towards the end of the book and I gradually started to like her better. She is super smart and dedicated to her job but her best quality is that she really tries her best to take care of everyone, vampire or not. I really liked Adrian and his interactions with Sydney were some of the best parts of the book. To me this book seemed like a set up for the rest of the series because it really didn’t pick up until about two-thirds through. I feel like the next book will have a much more interesting story. Overall, Bloodlines was an interesting story with a slightly more original take on vampires, and while it had a slow start, it was a promising beginning to the series. I am looking forward to reading the next book! Bloodlines was released on August 23, 2011 and is the first book in the Bloodlines series, a spinoff of the Vampire Academy series. The next two books, The Golden Lily and The Indigo Spell, have also been released and the fourth book, The Fiery Heart will be released in November. Evie O’Neill is sent from her home in Ohio to New York City to live with her Uncle Will as punishment, yet to her it is anything but. In the 1920s, New York is an exciting place with speakeasies, movies, and plenty of places to shop. However, living with her Uncle Will, curator of “The Museum of the Creepy Crawlies” turns out to be a much different experience than she had anticipated. Evie’s uncle is called in to help the local police solve a series of murders that seem to be related to the occult. 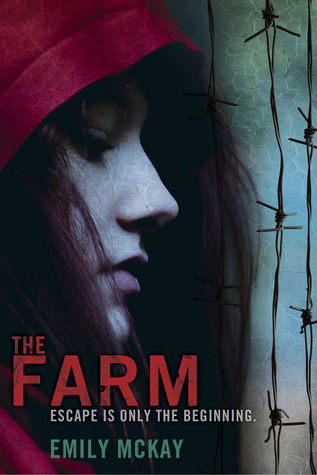 Evie becomes caught up in the investigation and has a secret ability that she may be able to use to help catch the killer before it is too late. It took me foreverrrr to get through this book because, while it definitely held my interest, it was a whopping 592 pages!! It was definitely worth it though, because this is an exciting story with so much to offer. There is mystery, romance, humor, and a bit of horror. In my opinion though, the best part of this book was the characters. This book reminded me a bit of The Girl in the Steel Corset by Kady Cross because it has a kooky band of characters that are trying to solve a mystery, yet they each have their own little side plot that is actual vital to the main plot. It’s definitely a challenge to be able to develop so many characters well in just one book, but Libby Bray, like Kady Cross, does it perfectly. I found myself attached to each and every character and kept hoping that they wouldn’t end up as the next murder victim! I loved all of the characters, but my favorite was the protagonist, Evie. Evie is a sassy character who speaks her mind even though it sometimes gets her into trouble. She sneaks out to go drink and dance at speakeasies and is not afraid to see a murder scene. She is extremely brave and rather than shy away from the murders her uncle is trying to solve, she decides to use her special power to help him find the murderer. Another thing I loved about this book is the time period. The Diviners takes place during the Roaring Twenties, which seems like a fascinating time to be in New York City. Bray does an excellent job of describing the city during the 20s and even the dialogue reflects the slang of the time period. I really felt as though I was transported to the 20s every time I sat down with this book. Overall, The Diviners was an excellent book with a great cast of characters, a thrilling mystery, and fascinating historical context. While it was a very long book, the pacing was good and there really wasn’t a dull moment. I really enjoyed it and I’m definitely looking forward to the next book! 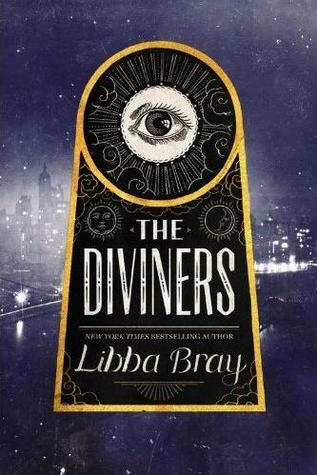 The Diviners was released on September 18, 2012 and is the first book in The Diviners series. The second book is currently untitled and is expected to be released in 2014. Felicia Ward died the day before her eighteenth birthday. She is trapped in Level 2, an afterlife where she lies in a pod and relives the memories from her life over and over again. When the boy who broke her heart breaks in to find her, he tells her that he is part of the rebellion to bring down the Morati–angels who are keeping everyone trapped in Level 2. He tells her that if she helps him then he will do something for her in return: he will bring her to Neil, the boy she loves. This book had such an original concept. The way all of the people in Level 2 were trapped in pods reminded me a bit of The Matrix, but instead of being trapped in a fake reality, everyone in Level 2 was trapped within their own memories. They could resurface for awhile but soon had to return to their pod and “plug in”. The way the memory network worked was very interesting and was almost like an afterlife’s version of social networking. Each person could choose to share their memories on the network and as people viewed their shared memories, the owner of the memories would earn credits that they could use to purchase other people’s memories for viewing. Felicia’s most precious memories are the memories of her boyfriend Neil, which she keeps private and views over and over. What was really interesting about Level 2 is that it mixes genres. It is a dystopian novel set in the afterlife, but Felicia’s memories from Earth are strictly contemporary. The story is told from Felicia’s perspective in Level 2, but it is interspersed with memories from different parts of her life. Through her memories, we see the beginning and progression of her relationship with Neil, the effect her relationship with Julian had on her future, and each moment right up until the end of her life. The memories are viewed out of sequence so we don’t get all of the answers at once, and there is a great deal of suspense right up until the end of the book. Overall, Level 2 was an incredible debut with an original concept, an engaging and suspenseful story, and a beautiful ending. This was a powerful first book and an excellent start to an exciting new series. Level 2 was released on January 15, 2013 and is the first book in The Memory Chronicles. 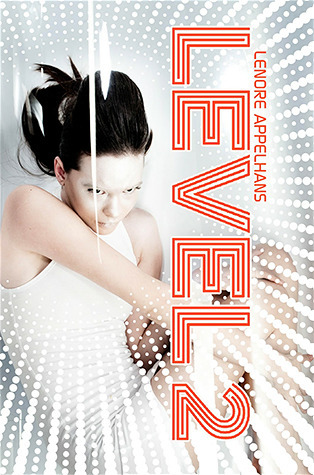 The second book in the series, Level 3, is expected to be released in 2014.